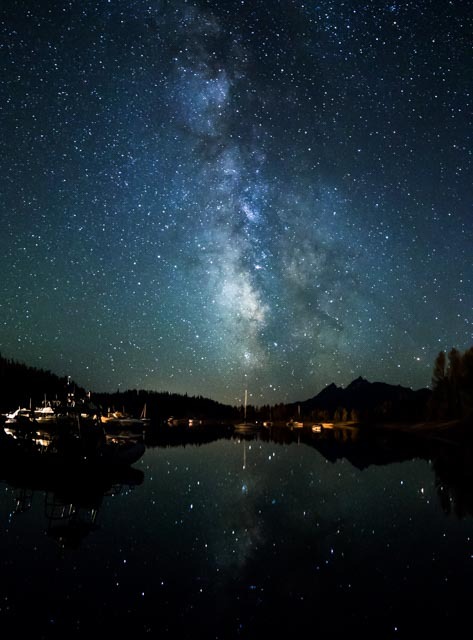 This was taken at the Colter Bay Marina in the Grand Teton National Park around 10:00 PM in early September 2015. Exposure was 25 seconds at f2.8 with the ISO set at 3200. I used a Canon 7d Mark II, with a Rokinon 14mm lens.